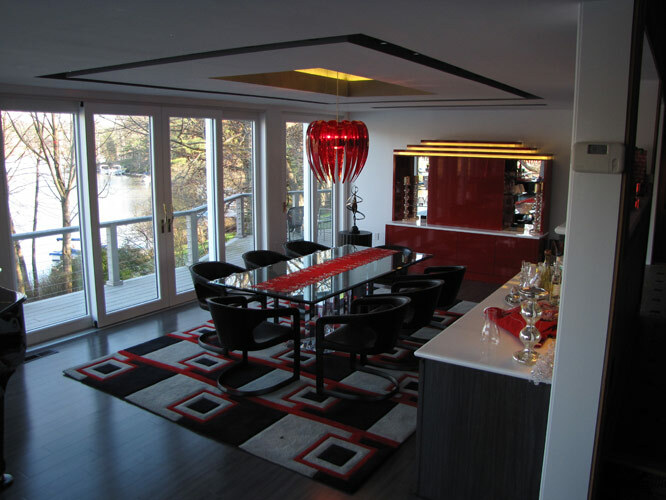 The Dinning / Great room over looked a Lake in Reston Virginia. The exterior walls all had 8′ high sliding glass doors that were made in Germany. The doors with glass were 3″ in thickness. The design of this room was done by DGI Design Group, Diane Gordy. Mrs. Gordy specilizes in high end projects. It was a pleasure to work with her on this project.